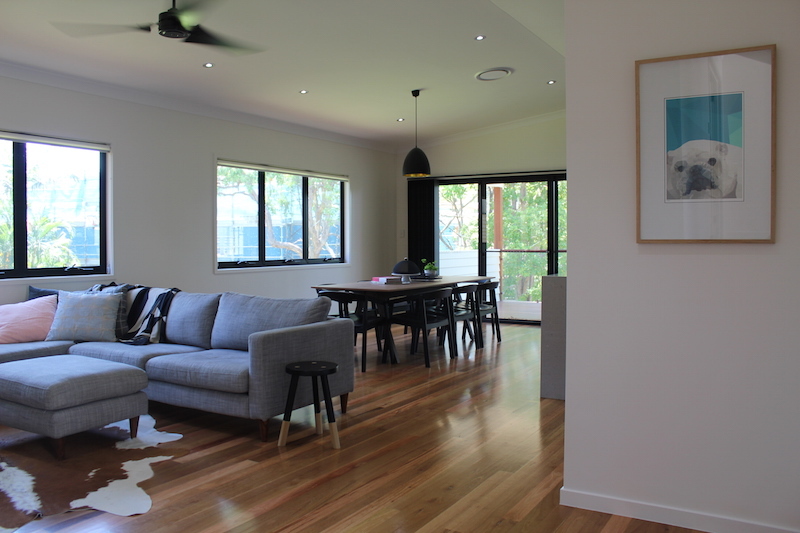 The other week we introduced you to Katie and Mitch who recently built their first home. Today we’re taking you inside their contemporary kitchen and dining area, and chatting with the couple about how they designed the space and decided on finishes. 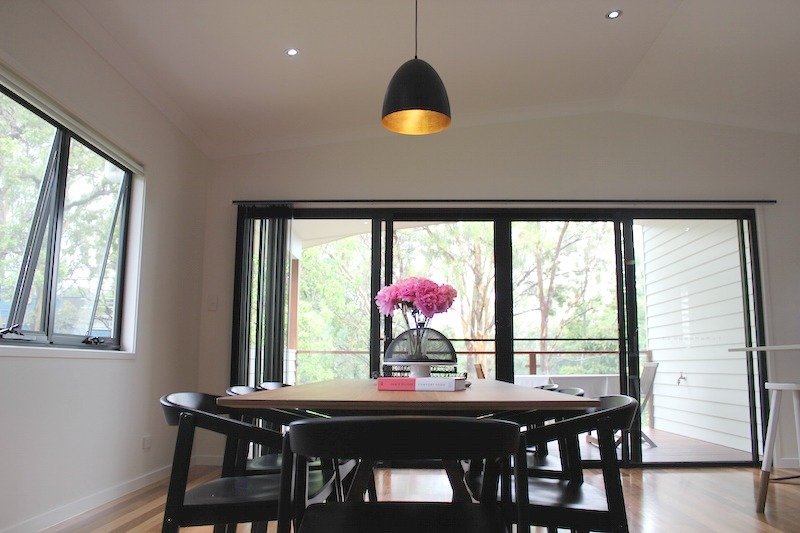 Firstly, your kitchen and dining area is stunning! “Thank you, we’re so pleased with how it turned out,” says Katie. 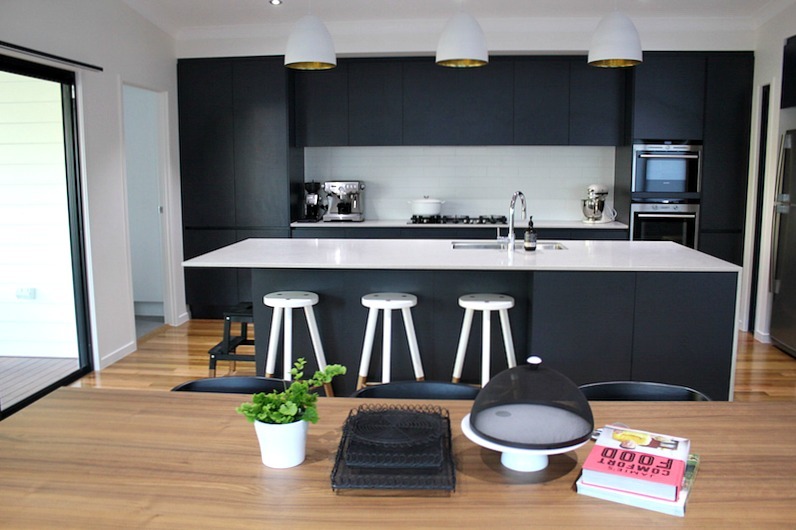 “We selected all our kitchen finishes really early on in the build. When it came time to installing the kitchen, some of the materials weren’t available and we (I) begun second guessing many of our choices — dark cabinetry isn’t something you see that often — but I’m really happy we stuck to our original decision. 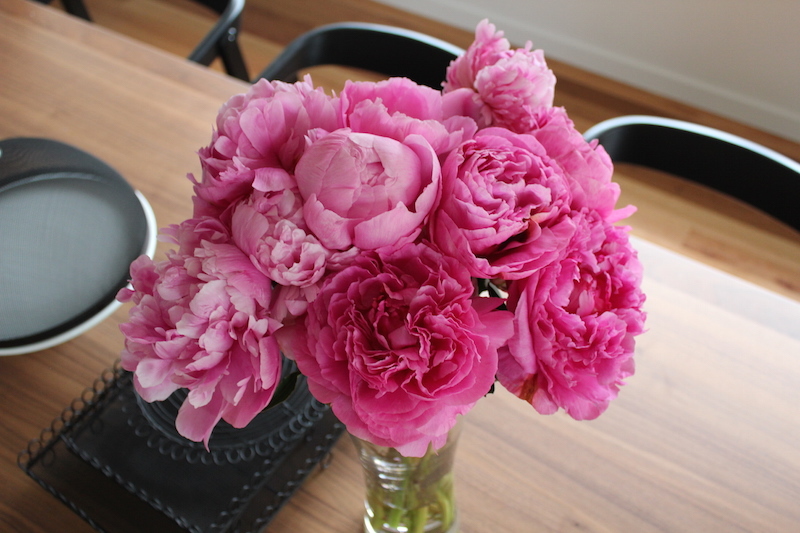 That was a big lesson for me — to trust your instincts and that first choices are often best! Your kitchen is massive, how did you design the space? 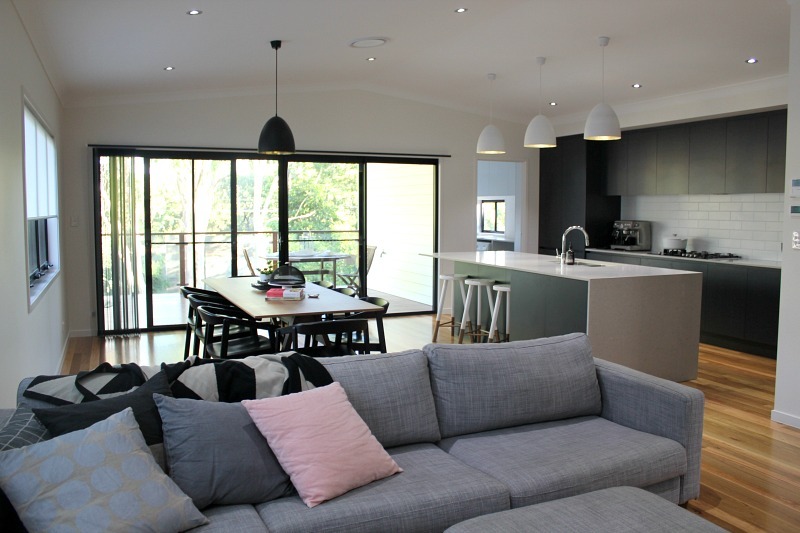 “Mitch created so many different designs for the house with lots of kitchen options. In the end we went with the design that gave us the biggest kitchen and I’m so glad we did,” says Katie. “Our island bench is 3 metres long and 1.2 metres deep and is ideal for cooking and entertaining. “In terms of layout, the kitchen wall has overhead cabinetry, an in-built wall oven, microwave and fridge, and a generous bench area with gas cooktop. The splashback is matt white subway tiles. 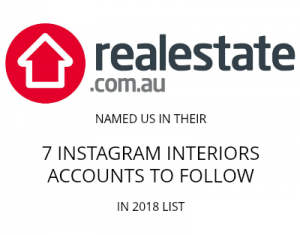 Many of our readers are in the process of building or renovating and would love to know details of the finishes you selected. “Sure, we opted for charcoal cabinets. Ideally I would have loved to have 2 pac cabinetry but we had to be clever about how we spent our money. We selected Laminex so we could put the extra money towards stone benchtops. 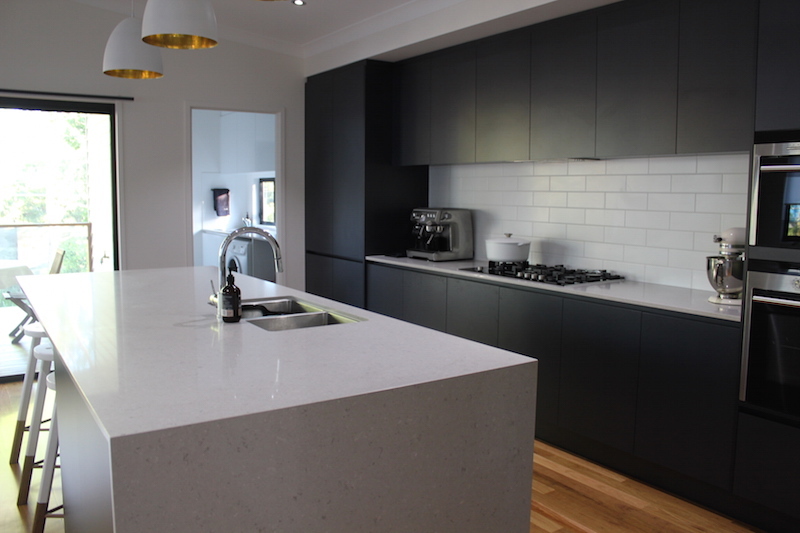 “Originally we selected a Caesarstone benchtop in ‘Organic White’ but when it came time to install it wasn’t available so we switched to a light grey option called ‘Clamshell’ and we love it. If we don’t ask this next question, it’s sure to be the first thing we’ll get asked in the comments section below — where did you get those amazing pendant lights from? And finally, can you tell us where your sourced your furniture? “The dining table and chairs are from Ikea,” says Katie. Thank you for sharing your kitchen and dining area with us, we can’t wait to show people more of your beautiful home soon. To read all the posts about Katie’s home, click on the ‘Katie and Mitch‘ tag below. Hi there – I was just wondering whether you knew the wall paint colour? We are building a house with charcoal cabinetry, spotted gum flooring and black aluminium framed windows so this white colour looks perfect! Hi could you please tell me the colour of the dark kitchen joinery? Hi Simon, it’s the ‘Charcoal’ colour by Laminex 🙂 You can see their full colour range here: http://www.laminex.com.au/colour-palette.php (charcoal is shown in set 4 of 17 if you click across).